This years LFDW (Lagos Fashion and Design Week) has been such a different experience for me. I sincerely wished I would be able to see all the shows and have the time to review most of my favourite shows and tell you all the juicy fashion news.. but alas, my work load seems to be on an increase (super grateful) for that, and the hours are just never really enough. For the first day of the LFDW SHOWS, I wore a layered all black outfit. The pants are by a Nigerian label: Iamisigo. Believe it or not guys, I never made it to the shows. 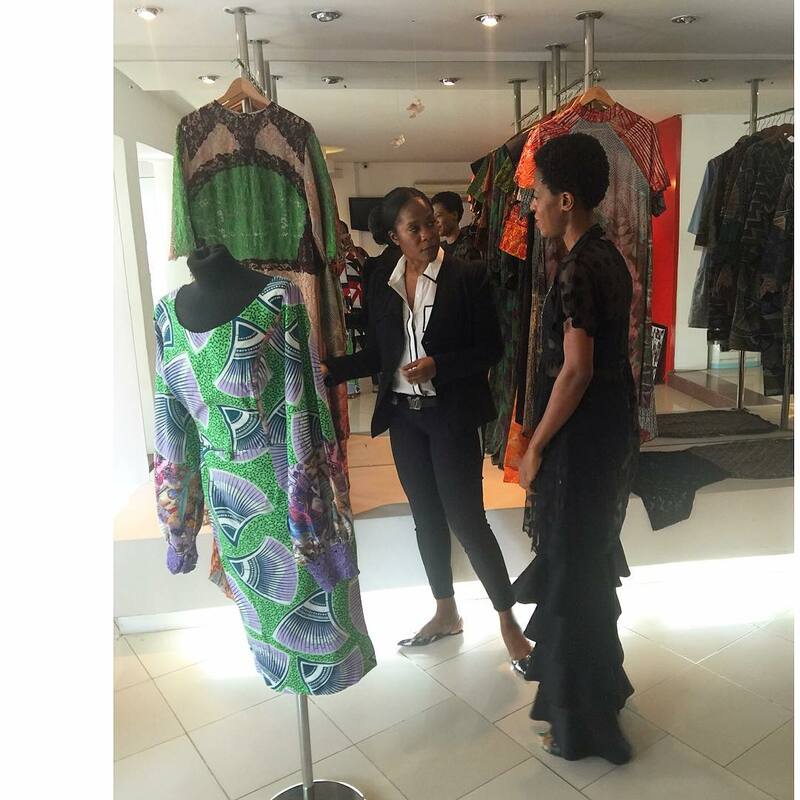 I stopped by Odio Mimonet’s studios, as I had been commissioned to style her collection for the shows. They were slated to be the last show for the 2nd day. By the time I was done, as well as making various stops with regards styling the show.. the day was well gone past 9pm and all I could think of was my bed and what the running order would be for her gorgeous collection. So yeah guys.. I missed day 1.. but still managed to document my outfit that never made it to the shows. Pictured below, I am at the Odio Mimonet studios having a brain storming session with the Creative Director of the brand; Odio Oseni..
Keep clicking in for more stories documenting my sojourns as a fashion consultant based in Lagos during fashion week.